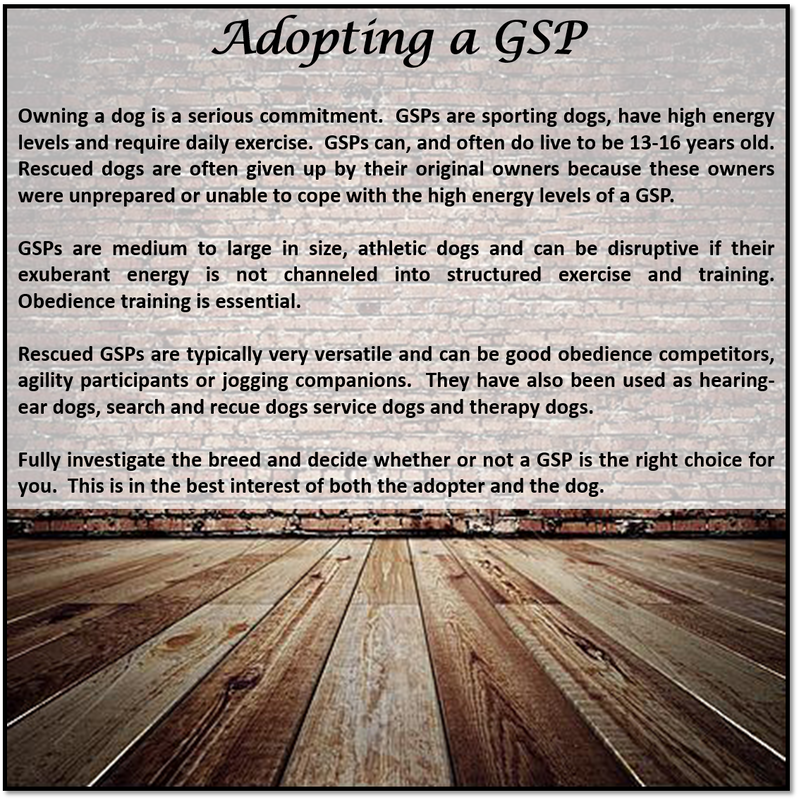 GSPs are large active dogs who make great companions for active families. They love to be with you doing whatever you are doing and then coming home to curl up with you after an active day. Many GSPs are "cat sharp", meaning they have too much prey drive to get along with cats, but some rescuers have cats and find that some GSPs can be companions to cats if the cats are accustomed to dogs. Though some of these dogs may hunt, we do not place them primarily as hunting dogs. This is mainly due to the fact that we rarely have enough background information on them to determine their flight risk in an open hunting situation.